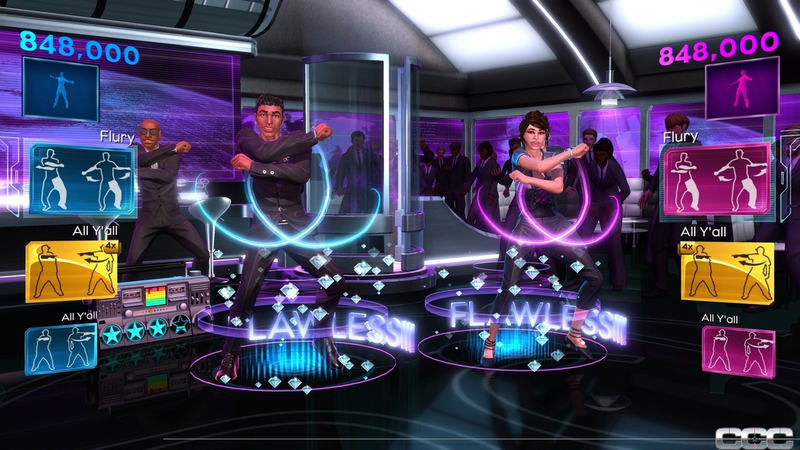 Dance Central is widely known as being one of the few games that's worth dusting off your Kinect for. 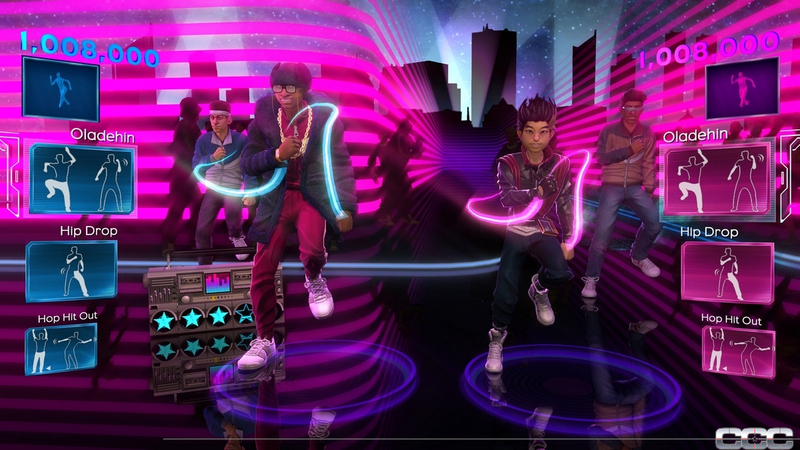 A Rhythm game that focuses on funky dance moves over plastic instruments, Dance Central is, in an odd way, following in the footsteps of its Rock Band and Guitar Hero predecessors. You see, Rock Band and Guitar Hero 1 and 2 introduced the novel concept of playing music with an instrument controller, and so their gameplay mostly focused on the music. However, Rock Band/Guitar Hero 3 changed all that by introducing weird experiments with narrative, new modes, and all sorts of other innovations, until Rock Band users were playing with keyboards and Guitar Hero users were transforming into animal people for some reason. Dance Central 3 does the exact same thing, adding a more interesting narrative structure and a vastly expanded song list in terms of both genre and era. Oh, and also there's the Macarena. Hey Macarena! 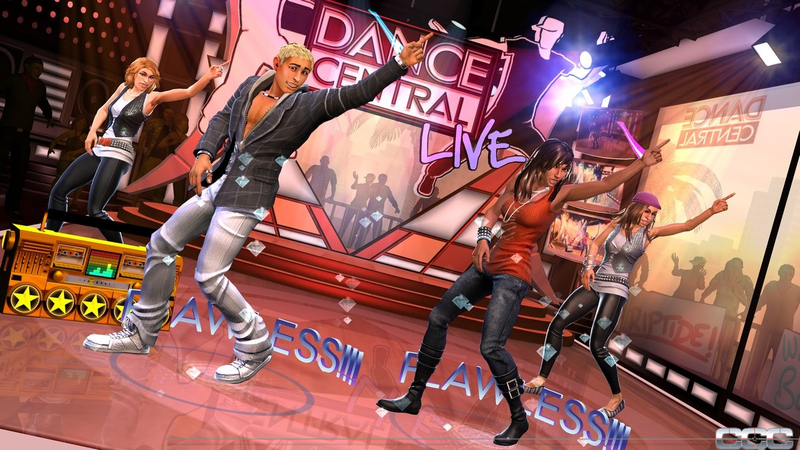 The core gameplay of Dance Central 3 is basically identical to that of Dance Central 1 and 2. A queue of different dance moves will slide up the side of the screen and you will be tasked with performing them to a few beats of a song. 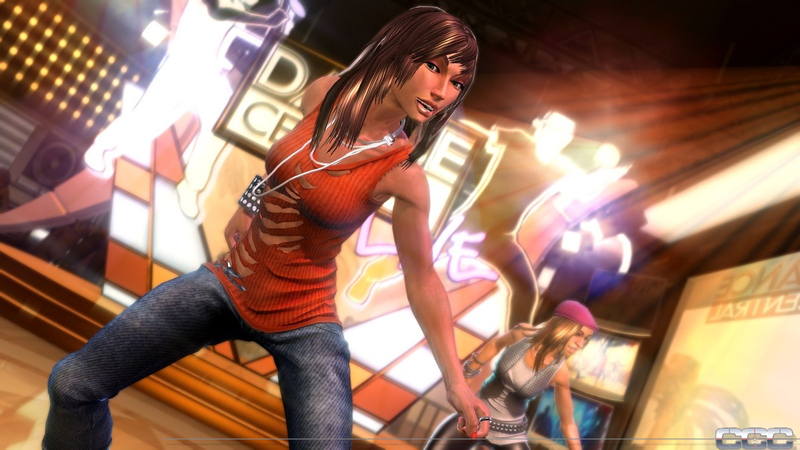 The moves involve your entire body, and they are real choreographed dance moves, so in a way Dance Central actually does teach you how to dance like an extra in a music video. The amorphous rhythms of a real-life dance floor are nowhere near as complicated as the routines you have to learn here. Like any good rhythm game, the goal is to chain as many moves together as possible without failing. You can see a circle around your character's feet light up as you are doing well, but your character's limbs will flash red when you do poorly. While the limb-flashing mechanic lets you zero in on what you doing wrong, it's still really vague. You don't know if you are moving your limbs too fast or too slow, too high or too low, or even if you are just spazzing out in all the wrong ways. Luckily, you can take all of your moves to the studio in order to rehearse them. And you will be spending a lot of time there. Sure, you can probably fly through some easy tracks on the first try, but getting into the more complicated (and thus more fun) tracks of the game requires an incredible amount of rehearsal. 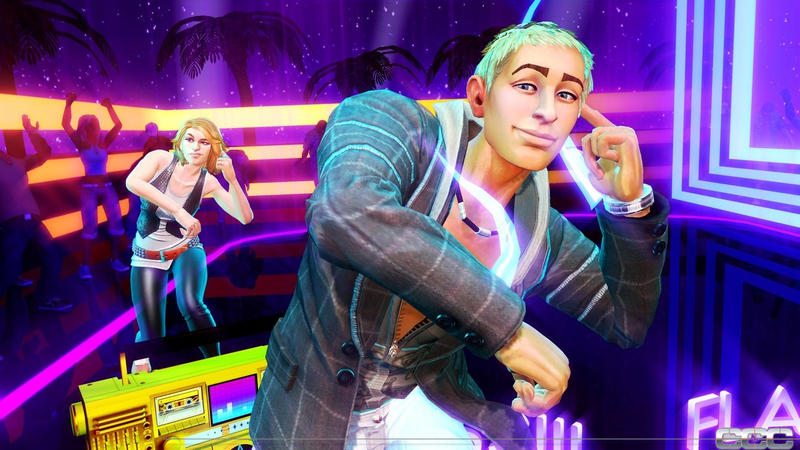 Granted, this isn't really different from, oh, any other game that has ever existed in the history of time, but the workout that Dance Central 3 gives you can make it hard to play for prolonged periods of time. In addition, since the game's feedback system is kind of vague, even practicing in the studio comes down to trial and error at times, and failing the same move over and over again can get really frustrating. 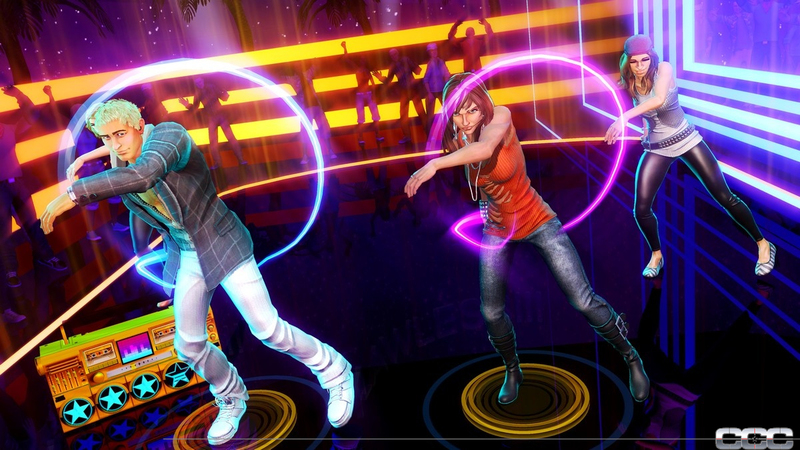 But most of what I've talked about are just problems that have plagued the Dance Central series for a while now. 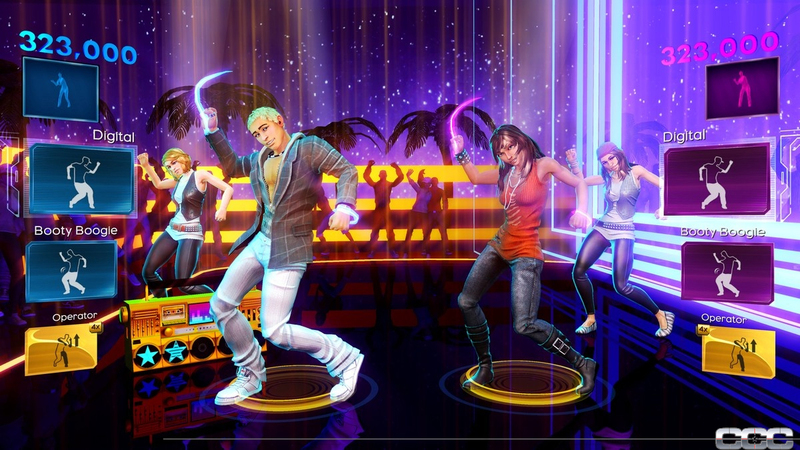 The real reason to get Dance Central 3 is its new features, the most prominent of which being the story mode. Which is awesomely stupid. 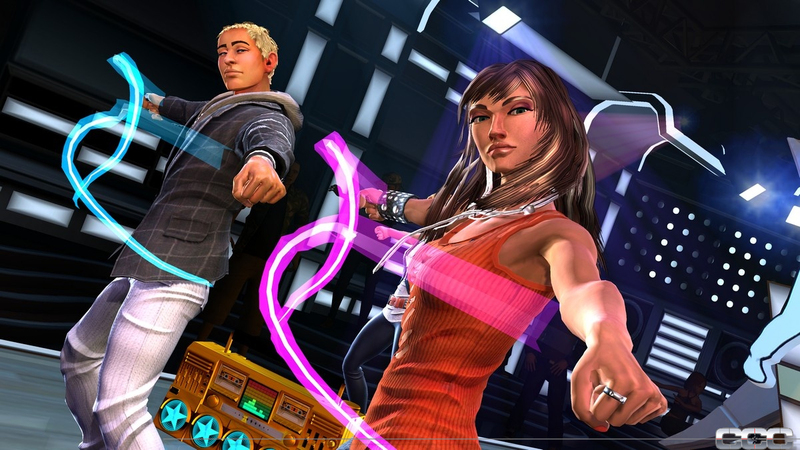 The story essentially paints the Dance Central cast as time-traveling superheroes. An evil supervillain and his massive armies are trying to ruin dance for everyone. It's up to you, as an operative for Dance Central Intelligence, to travel through time, learn the dance craze of the time, and dance the villains to death! Okay, maybe not to death, but you do in fact save the world with dance somehow. It's so delightfully campy, like Elite Beat Agents but even more absurd. I enjoyed every ludicrous and cheesy second of it. 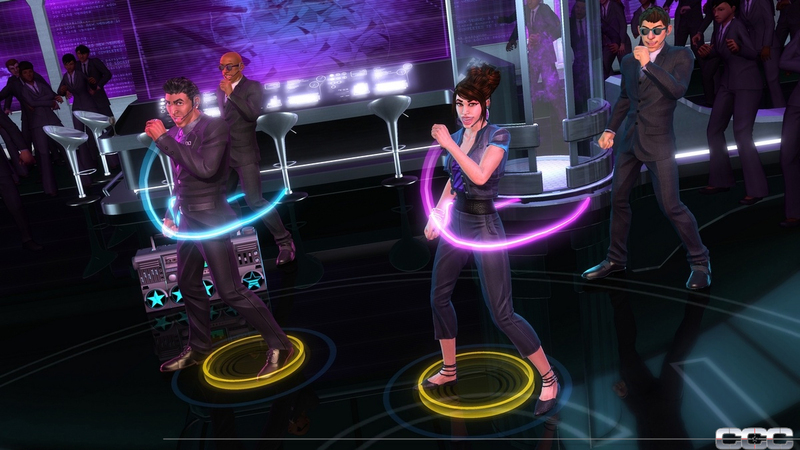 Story mode is also an excuse to dress the Dance Central cast in hilarious outfits that fit the periods they time travel to. They will be wearing bellbottoms in the seventies, sporting big hair in the eighties, rockin' denim in the nineties, and finally getting more contemporary in the 00s and 10s. It's almost like a cultural history lesson that makes you step back and go "Man, we looked stupid back then." This is only enhanced by the game's yet-again-improved graphics. The character models are slick and stylized, never encroaching into uncanny valley territory, while their animations are perfect, exactly mimicking the dance moves you might see in your favorite music video. The stages you visit are also a treat, ranging from clubs to city streets to house parties.